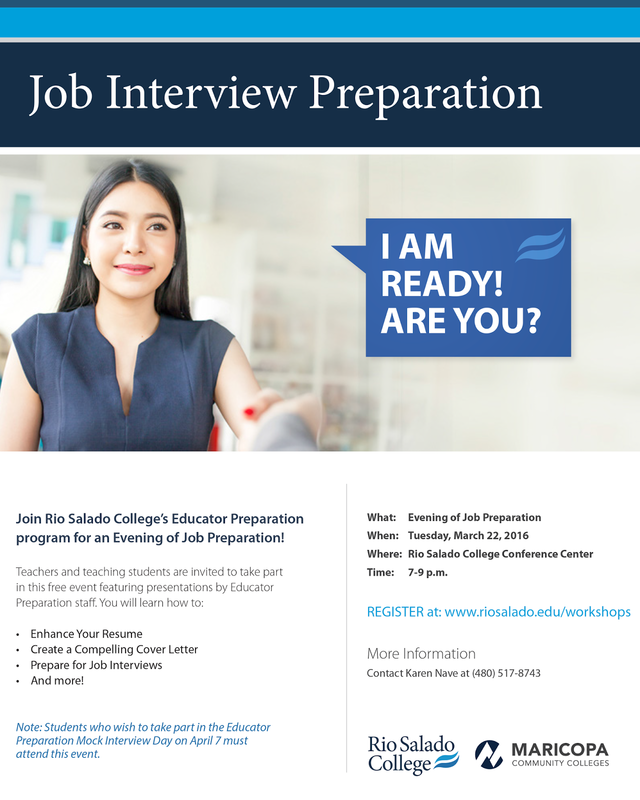 Join Rio Salado College’s Educator Preparation program for an Evening of Job Preparation! Teachers and teaching students are invited to take part in this free event featuring presentations by Educator Preparation staff. Please note, there will be a follow-up Educator Preparation Mock Interview Day on April 7. Students who wish to take part, must attend the Evening of Job Preparation event. Contact Karen Nave at (480) 517-8743 or karen.nave@riosalado.edu for more details.